Nearly four years back, Tibetan Prime Ministerial election drew unprecedented hype and attention around the world throughout the Tibetan community. Even the southernmost part of Indian city called Chennai was also not spared from the storm of election. For the first time, Tibetan college students in Chennai partook in the 2011 Tibetan (Prime Ministerial and Parliamentary) Election. Back then people’s minds were so much, so preoccupied with the winds of election. I still remember back then while working in Chennai, some young Tibetan college students were wearing white T-shirts stripped with ‘Katri Lobsang Sangay’ and interviewing student leaders there of their views on election. I was then among those who spoke in support of then candidate Ex-PM Tethong Tenzin Namgyal given his experience and intellectuality. However, I didn’t rule out Dr Lobsang Sangay from serving CTA. Around that time I was in favor of Dr Lobsangay becoming Kalon (Minister) for Information and International Relations to finally pave way for him to become Sikyong in 2016 with much more understanding and experience of administration. This utopia didn’t materialize as Dr Sangay won against his nearest rival Tethong Tenzin Namgyal. Back then it was the rising day of Obamic season for Dr Lobsang Sangay. His Holiness the 14th Dalai Lama was already in semi-retirement stage as far as his political role was concerned since the direct election of Kalon Tripa in 2001. The 2011 Tibetan Election was both curiosity and worrisome. On the one hand you had first-ever Harvard intellect fellow debuting in the Tibetan election with a youthful and charismatic face stealing the hearts of many youths and elderlies. On the other hand, Tethong T. Namgyal’s candidacy was being contested by many on various grounds of his past deeds and aristocratic lineage. The debate between the candidates went so deep and wide that it became one of the most talked about and an historic election in exile history. Why I called it was Obamic season was on account his academic and luck that followed him in the contest. Even before election wind was flowing, Dr Lobsang Sangay made an implicit speech in Chennai during 4th Tibetan College Students’ Conference held there “My final service of destination is Dharamsala and there is no doubt about that”. Though the campaigns for both the candidates emerged mainly from west (as both candidates were then residents of the United States), it was east (mainly Tibetans in India) who helped to boost the election to such unprecedented scale and made Dr Lobsang Sangay the ‘Prime Minister’ or what later known as ‘Sikyong’, the Political Leader. Who and what situations were responsible for making Sikyong the Prime Minister defeating Tethong Tenzin Namgyal. The vote banks mainly were youths of 21-39 age groups comprising of college students, monks and nuns. For the young college goer Tibetan students, Dr Lobsang Sangay is a beacon, an icon and inspiration for them. Dr Sangay’s youthful appearance and being Harvard degree puts him among the first place as the choice for their Prime Minister. Furthermore, being young and accessible to youngsters, students eyes filled with Dr, Sangay’s academic credentials. For any young ardent and studious college student who don’t want to imitate and follow Dr Sangay. Students like accessible leaders and Dr Sangay did it both with his academic credentials and knack for connecting with the youth. As far as monks are concerned, though they could be conservative in general sense, situation tends to make them ponder otherwise. During the elections both the students’ and monks’ participation increased as compared to 2006’s electoral participation. Monks who were and are one of the most active participants both inside and outside Tibet for the Tibetan freedom struggle were also in search of inspiring leader. Prof. Samdhong Rinpoche couldn’t be elected again due to Tibetan Charter’s provisions and his election for the post for two years consecutively unless related articles in the Charter is amended. And no one will nor will Prof. Samdhong Rinpoche accept such offer of amending particular article in the Charter to fulfill the duties again as Prime Minister. Hence, the only choices left were Dr Sangay, Ex-Premier Tethong T. Namgyal and reluctant Ex-Minister Tashi Wangdi. Tashi Wangdi is unlikely to win due to his flip-flop and dilly-dally in announcing his candidacy despite partaking in several of the public debate. Hence the only choices were between the two; Dr Sangay who has huge academic and youthful credentials and the other, Tethong Tenzin Namgyal, a veteran Politian whose experience and charismat were forces to reckon with. However, in the final the monks and nuns decided though not in landslide Dr Lobsang Sangay as their choice on account of his promising and convincing public talk. Those of 40 plus also contributed huge vote to Dr Lobsang Sangay. The elderly Tibetan voters would of course be more than happy to vote for young and educated people. Most of the elderly people were ex-service men, businessmen who have served in various Tibetan institutions. They didn’t much have educational opportunities though they are far more spirited and nationalistic than us. They too must be looking for young and educated people and Dr Sangay presented himself on time as the most reliable and fitting candidate of the time. Going by the institutions or organizations, it was NDPT who campaigned for Dr Lobsang Sangay to a great deal. Many of the NGOs, monastic institutions and Tibetan colleges also endorsed him. There were few exceptions at individual level that voted or campaign to vote for Tethong Tenzin Namgyal. Let us finish with the background of last time’s election and glance into this year’s Tibetan Election. When we say elections for Sikyong are coming up, exile people tend to recall the faces of, Dr Lobsang Sangay, TPiE Speaker Penpa Tseing, Home Minister Gyari Dolma, Security Minister Drungchung Ngodup, Ex-PM Tethong N. Tenzin Ex-Minister Lobsang Nyandak and even as far as Prof Samdhong Rinpoche and Gyari Lodi Gyaltsen. The first preference among the Sikyong candidate must be Dr Lobsang Sangay who can stand for second term as per provisions in the Tibetan Charter. Given the historic atmosphere he is likely to stand for and even win the second term as Sikyong. In 2006 when Prof. Samdhong Rinpoche ran for second nobody could stand as rival candidate given Rinpoche imminent win against any candidate. However, election wouldn’t be democratic nor would it be meaningful without a rival candidate. Thanks to late Premier Juchen Thupten Namgyal for ensuring the election turns democratic by standing as rival candidate despite losing in the previous election. (It was a bold and most democratic move by Juchen Thupten Namgyal). Grapevines are doing round in this year about the possible aspirants standing for Sikyong. Among the front running names are Sikyong Dr Lobsang Sangay and TPiE Speaker Penpa Tsering. However, a new candidate sprang up out of blue even before the Election Commissioners announced the dates for Primary and General Elections in the form of Mr. Tashi Wangdi, CEO of Tibetan Federation of Cooperates. 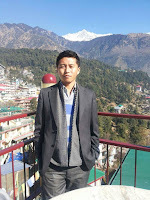 Tashi Wangdi was said to be among the top supporters of Dr Sangay in the last 2011 election. This time one of the top supporters of Dr Sangay standing directly for Sikyong Election despite Dr Sangay having second term option is something we need to think of. National Democratic Party of Tibet is the only surviving and functioning political party that has been actively partaking in the elections by sending candidates for the Sikyong and Tibetan Parliament House. Apart from each provinces and other regional community producing their candidates, NDPT’s list is much awaited for being the most outspoken organization as political party. During its press conference at Norbu House, NDPT announced incumbent Sikyong Dr Lobsang Sangay and TPiE Speaker Penpa Tsering as2016 Sikyong Candidates. We are yet to wait for other Province Communities and other regional communities who are likely to produce their own candidates for Sikyong apart from Parliamentary candidates. One striking transformation in the exile electoral history is that as the leadership role moves to second rung younger generations, it is quietly clear that exile born leaders who have not even seen their motherland are likely to take over the political leadership of Tibetan struggle. This is an encouraging sign of continuation of Tibetan struggle and at the same time the fruit of His Holiness the 14th Dalai Lama’s decades long dream of reclaiming freedom through education and non-violence is bearing its fruit. However, one discourging sign of space for improvement in political electoral is near absence of any convincing lady candidate who can occupy the Sikyong Seat as Prime Minister (or Sikyong) in the last five decades. Also only few Tibetan women have served in the cabinet as Ministers like Jetsun Pema, Rinchen Khando (both are associated with His Holiness), Takla Yangkyi. In this 14th Kashag (Cabinet) headed by Sikyong Dr Lobsang Sangay, there are two women viz; Gyari Dolma, a longtime Tibetan Parliamentarian and even two time deputy Speaker, TPiE and Dikki Chhoyang, Canada resident exile born lady. In the 2011 election Gyari Dolma, the most prominent and visible faceof lady in Tibetan exile stood in the primaries but retreated in the main election. This time too she is unlikely to contest even though some people or organization might stand in support of her. Surprisingly, social media, which is most used medium of communication continue to produce several candidates for Sikyong in the likes of ‘2016 Sikyong Dikky Chhoyang’, ‘2016 Sikyong Dr Lobsang Sangay and even ‘2016 Sikyong for Penpa Tsering. Unlike last election, if public debates are to be held, Dr Lobsang Sangay will have to provide more answers to the people of what his accomplishments or achievements are rather than what he can promise to do. People are more informed if not educated about issues facing Tibetans in exile and therefore, any candidate can’t have easy win without facing public. The largest vote banks in terms of territory include settlements like Mungod, Bylakupee, Ladakh, Bir, Dharamsala, combination of North-East Tibetan settlements. In terms of institutions, monasteries and NGOs and provincial and regional associations and communities are going to form major vote banks by influence or clout. Unless some surprise candidates emerges, the two official candidates supported by NDPT and other provincial and regional communities are likely to win. The battle is between the Kalimpong born Havardian Dr Lobsang Sangay and Bylakuppee born MCCian Speaker Penpa Tsering both of whom are young and most appealing of this time. Dr Sangay looks quite confident however whoever comes as rival candidate must be a bold man to contest. Whom I vote for remains to be secret. 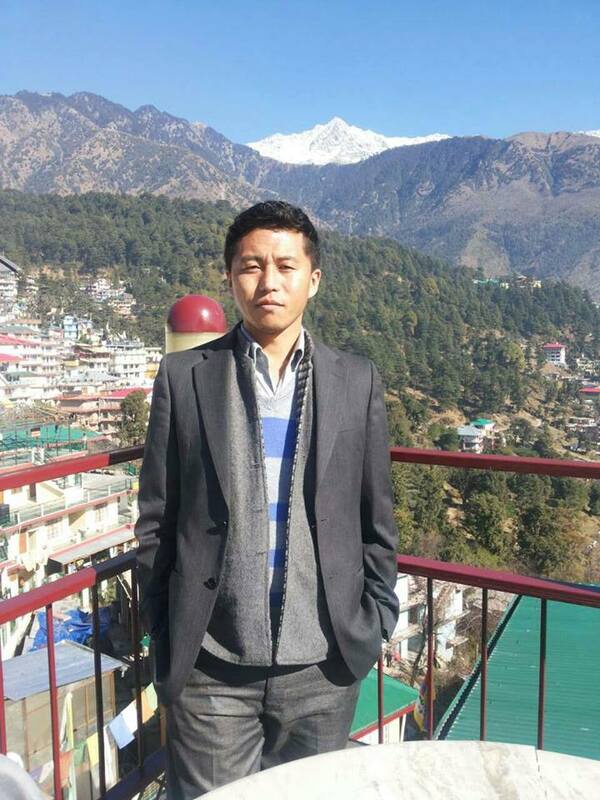 NOTE: Pam D. Tenzin alias Doring Tenzin Phuntsok is an alumnus of Madras Christian College with an M.Phil degree in Political Science. He is a long time Tibetan political observer and he has had been wearing different and often many hats in the ongoing Tibetan struggle for a free Tibet. DR. Lobsang singe has no great achievement as he has initially promised to do so. No much achievement in professional, not able to renew sino tibet contact, responsible for loss of lives of self immolisations in Tibet, No more increament in overseas scholarship, no more increament in Reserved seat in MBBS and IIT, Too many overseas trip, Not much achievement in graduate unemployement solution, no imporovement in tibetan livelihood in farming settlement, no improvement in farming livelihood etc.